As the title of the book suggests, this book is a compilation of folktales from the twenty nine states of India. Before we start with the actual stories, we have the map of India in which the storytelling method unique to that state is mentioned with an illustration. For example “Villupaattu” is mentioned for Tamilnadu. It immediately brought to my mind the famous villupattu singer Sri Subbu Arumugam whose villupattu performances I have seen and enjoyed as a kid on the TV . People hailing from the southern part of India will also be familiar with “Yakshagana” of Karnataka and "Kathakali" of Kerala. It is very interesting to read about the various storytelling forms of India even for us adults. Then we come to the actual stories. I have not yet read all the stories. At the beginning of each story, a few lines have been written on the historical significance, geography and the local culture of that state. The stories themselves have some theme which links to that state. For example the story from Kerala has “Kalaripayattu” (the martial art form unique to Kerala) as the backdrop. These stories also give us (the parents) an opportunity to add on more details, as we start reading. When I was narrating this story to my four and a half year old son, I added these details like “See the boy in this story is from the city of Kozhikode. Do you remember we have also been to Kerala? Last year we went to Munnar, which is a hill station. And your friend M is also from Kerala. The people there speak Malayalam. That’s why M and her family speak in Malayalam at home. This “Kalaripayttu” is a martial art form just like you have karate, kung fu etc. Do you know any other martial art forms?” and so on. After the story is completed, there are activities which would be interesting for the bigger kids (in the book it is mentioned for kids between 6 years and 12 years) and other topics of discussion which would give the children a lot more to think about. In this book Cathy has also given lot of storytelling tips, the significance of story telling in education and further resources for reading to children. (I am happy to say that one of the further resources mentioned is a book by my cousin Devika Rangachari. It is titled “Stories from Rajatarangini – Tales of Kashmir”. So to summarise, I would say that this book is a must for people who want to expose their children to the diverse cultural entity that India is. It is a fantastic resource for parents and teachers who want to improve on their storytelling skills. Welcome aboard! Enjoyed reading the review. Interesting choice! 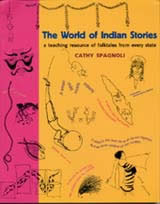 The diverse forms of story-telling traditions in Indian folktales that have existed for so many centuries is indeed mindboggling to me...Nice that someone has done all the research and documented all this in a book format for children..I enjoyed visiting Cathy Spagnoli's website as well. Thanks ! I don't normally go looking for specific books in the lib or shop. If something seems interesting I pick it up for my kid. This is my first book review.. henceforth I plan to write the review of a book if I find it good after reading it ! I do both. We are collecting picture books ( for the 4 to 8 age range) that have some India related story/theme - like My Mother's Sari, The Road to Mumbai, The Closet Ghosts etc. - say once every few months for a special occasion or Indian holiday. I also collect classic ones - books by famous authors - like Eric Carle's for instance. But, with respect to other books, I mostly try to get them from the public library. Thanks!It's a pleasure having you on ST across the globe from Bangalore! 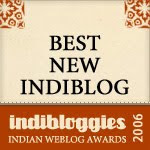 Congratulations on winning the new Indiblog of the year! good news to begin the day! I love this book and I do have a collection of Indian Folktale book for my kids.Thanks for this. Thank you so much for all your wonderful wishes and kind words. Let's keep sharing what we care about! Congrats to all you guys here !! Three cheers to your efforts. 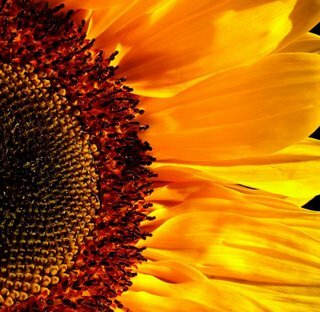 You have done a wonderful job starting this blog Praba and also involving so many other wonderful writers. Kudos to you.